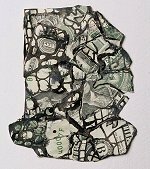 These collages, using US currency, examine the relationship between art and money. How is art valued? 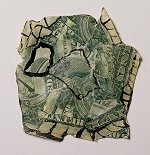 Why can I rip up a dollar and rearrange it on paper and increase its value 400 times? How? Why? What happens when money becomes the art?